So you’ve decided to take your dog to training classes, great! 🙂 Did you know dog’s love to learn! As with anything though, there are good classes and not so good classes with good trainers and not so good trainers, so it really does pay to do your homework before attending to make sure both you and your dog are going to have fun and get the results you want from attending. The same applies with Dog Walkers and Doggy Day Care Centre’s if these are services you use, I have seen aversive methods used by all of these canine service providers so would recommend you thoroughly check out anyone who is going to be working with or taking care of your four pawed family members. The last thing you want is for your dog to end up stressed and unhappy by attending these classes, that is not going to have a very positive effect on either his training or his ability to focus. Stressed dogs find it difficult to learn, and often ‘act up’ at class, which leads to them getting told off… for being stressed? Not the best scenario I’m sure you agree. If there are too many dogs and owners in a group it is impossible for the instructor to give adequate attention to everyone. It makes it more difficult for the class to be fully interactive, inevitably meaning that much of the lesson is spent as a spectator instead of a participant. 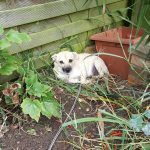 There is also the increased possibility of altercations between dogs by having too many in a small space, especially if they are getting bored! If the class looks too ‘busy’ then it usually is. 2. Only Reward Based Positive Training Techniques and Equipment. No Force! 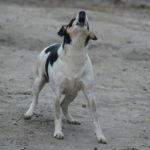 It is important that the techniques and methods used for training dogs are reward based and positive. If a dog learns through positive association and rewards, his training will be pleasurable, reliable and long lasting. If it is necessary for a trainer to use punishment, force or aversive techniques as part of their educational repertoire, then it indicates an inability to effectively train a dog. If you have to push your dog’s bottom to get him to sit, you have not taught him to sit by choice, only in response to your ‘force’. 3. They use a variety of techniques. Look for instructors with the knowledge and versatility to be able to provide a variety of methods and techniques for achieving effective, reliable training responses and behaviours. Not all dogs respond the same and a good instructor will know when to change tactics to get results without keeping on with something that isn’t working. I would also like to know that the instructor was capable of recognising which methods would suit particular dogs or owner/dog partnerships. 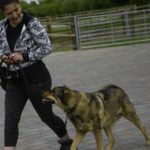 By being able to offer a range of training techniques, all positive based, a trainer is able to direct owners instinctively to the one that is going to work the best for them and their dog. Learning is much more effective when everyone is having fun! A great number of dog owners refrain from attending classes because they are often structured towards competition environments and controlled obedience manoeuvres. It is so important that dog owners of all levels, are able to attend a training class and reach their desired level of accomplishment, whatever that may be, whilst having fun, improving the bond with their dog and learning more about their relationship. 5. Look for trainers with enthusiasm and energy. To be able to interact effectively with customers is an essential part of any trainer’s capabilities and I would certainly look for classes with an instructor who was easy to talk to, passionate and clearly loving what they do!. Some of the most qualified instructors (in any field) lack the ability to inject fun and enthusiasm into their education, which can make the classes boring and too ‘strict’. How someone teaches can make all the difference between long term training success and things just being ‘kinda’ learnt. Lesson handouts are a valuable part of any instructional course, it not only gives the participants the opportunity to reflect on the events of their course but also helps to remind them of what has taken place, how it took place, what was achieved etc. Look for training classes that offer a certain degree of flexibility in their structure, enabling the individual needs of owners and their pets to be addressed alongside the basic content of the course being attended. Look for instructor’s who are instantly friendly and approachable in their manner toward owners. It is important to feel comfortable asking questions and not be made to feel stupid if something is not going well. Instructors who are friendly and open in their approach to their clients make the whole learning experience much more enjoyable. Look for classes whose trainers are clearly knowledgeable and experienced and can demonstrate that they possess both the ability to teach effectively and have up to date knowledge on how to train competently and deal with problems using positive methods. Some trainers are knowledgeable but not always capable of effectively communicating this knowledge to their clients. Some instructors were trained a long time ago, and are now using out of date techniques not based on the theory of learning. It is an important factor to feel that you receive value for money from your training classes. Most people, I have found, are quite happy to pay more for a good class, with a creative training process, excellent knowledge of techniques and to feel like a valued customer being provided with a good quality service relative to their training requirements and dogs needs. 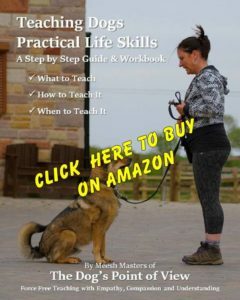 Watch for an instructor who is capable of organising their class within the training environment, to suit both owners and dogs needs. 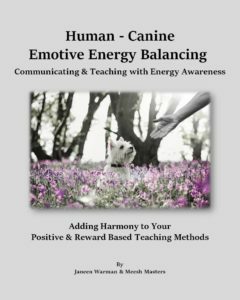 An instructor should be capable of recognising stress in both humans and canines and be able to deal with it discreetly, efficiently and with the minimum of disruption to owners, dogs or the class as a whole. It is impossible for either people or dogs to learn in a state of distress. It is important for there to be enough content in each weekly meeting to ensure clients remain interested and learn the things they want to know, but without overloading them with information. 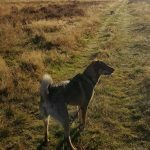 There should be a thoughtful balance between active training, provision of relevant information, short breaks for dogs and owners to digest techniques and raise questions along with realistic applications of the exercises being taught. The classes should be organised to include important and useful training exercises together with some fun ways of integrating these behaviours into normal everyday situations and the importance of doing so. Have You Been To a Particularly Good Dog Training Class? 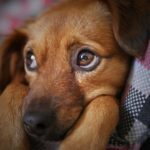 good and bad experiences for other owners and their pets.